Image on right-hand side from ShutterStock. As of Tuesday, April 21, 2015, mobile search results on Google favor mobile-friendly websites. 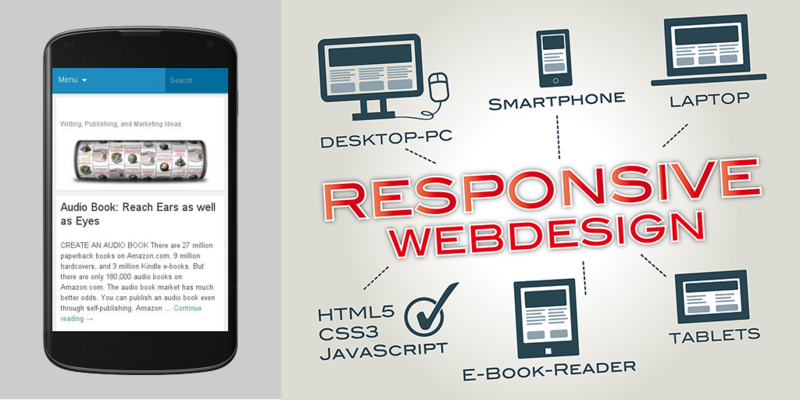 Do you want to know if your WordPress (or other) website is mobile-friendly? Visit Google’s mobile-friendly test at https://www.google.com/webmasters/tools/mobile-friendly. Enter the url for your website. For example, mine is www.chrismcmullen.wordpress.com. Press the Analyze button. Cross your fingers. Wait patiently for the results. Most WordPress blogs are probably mobile-friendly. If you’re using an outdated WordPress theme, that could be an issue. If so, check out this WordPress article. If your website isn’t mobile-friendly and it’s not due to an outdated WordPress theme, try exploring the resources on Google’s mobile-friendly test page. WordPress makes it easy to test to see if your page works on all devices. But the best way of testing is to actually have a range of devices. We have two laptops, three different tablets, two Samsung S5 phones with Android and a large flat screen TV with Internet. My sites all work on all these devices. But this is good information and something not everyone thinks about.